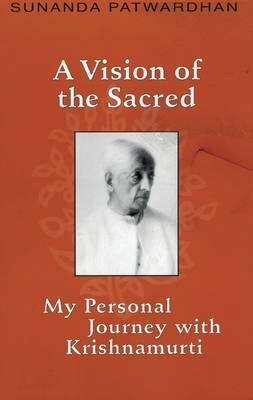 A Vision of the Sacred: My Personal Journey with Krishnamurti is a contemporary an intimate memoir by Krishnamurti;s private secretary and friend in India, Sunanda Patwardhan. The book answer the often asked questions about what it was like to work with a great world teacher of the twentieth century on a day-to-day basis, an how he counseled, in a non-traditional way, serious people struggling to meet the challenges of life. Krishnamurti's letters and actual recorded conversations add factual detail to this chronicle of a life fully lived.